It’s hard not to feel bad for the plight of Ash Fork. The railroad and Interstate 40 left the town behind and its economy was crippled 40 years ago by the loss of its Route 66 tourism business. But the town is still standing with a rock-solid local enterprise that makes it the Flagstone Capital of the World. Route 66 roadtrippers are drawn to other popular towns on Arizona’s Mother Road, including nearby Williams, Seligman and Kingman. But don’t leave Ash Fork behind. It’s worth a spin through town even if it's mostly a residential community these days. Check out the town's pair of one-way streets — Lewis Avenue westbound and Park Avenue eastbound — that once catered to a steady flow of Route 66 travelers. There are a few Route 66 relics. 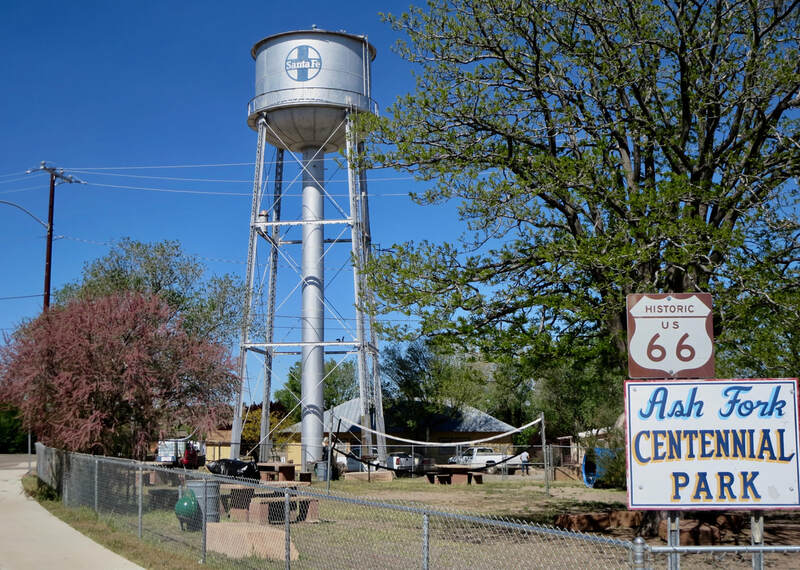 Stop in at the west end of town at the Ash Fork Route 66 Museum. It’s in a former Arizona Highway Department warehouse. Visitors can get a quick look at what Ash Fork offered in its more prosperous days. ​ The railroad arrived in 1883 and was an anchor of the town. In 1907, the elegant Escalante Harvey House opened for rail passengers. But rail travel declined after World War II as more travelers took to the highways and Route 66. Santa Fe Railroad moved its mainline 10 miles north of Ash Fork in 1960. The Harvey House was torn down in the 1980s. Plus, a 1987 fire destroyed buildings in the heart of Ash Fork. A few shops have tried to capture Route 66 roadtrippers. 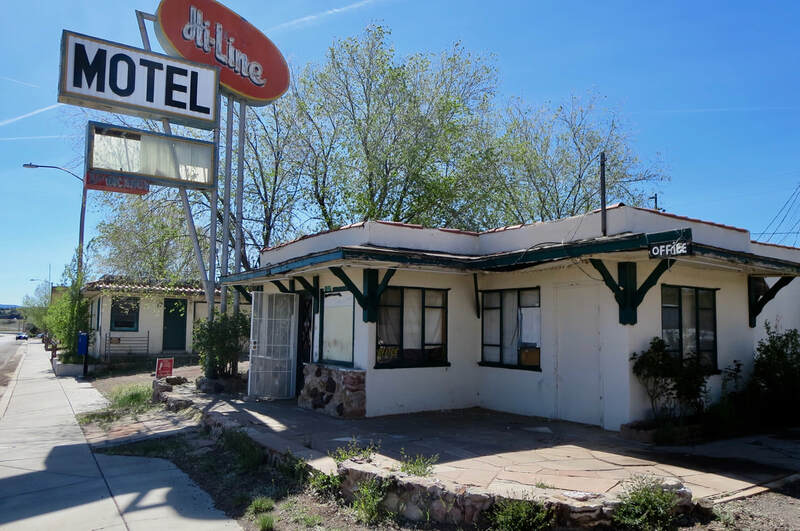 The closed Hi-Line Motel is one reminder of the old highway. Other motels have been turned into apartments. Buy some gas in Ash Fork. Visit the Oasis Lounge. Spend some money in town if you can. They need it. Man do they need it. Motorists traveling west on I-40 should take the Crookton Road exit off I-40 west of town to travel a 20-mile section of Route 66. 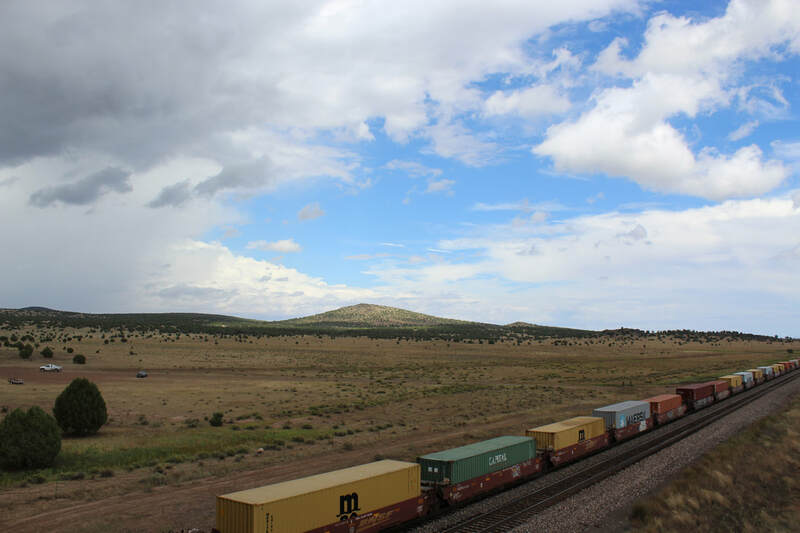 It crosses over the BNSF railroad and Crookton Pass with some great views from there. 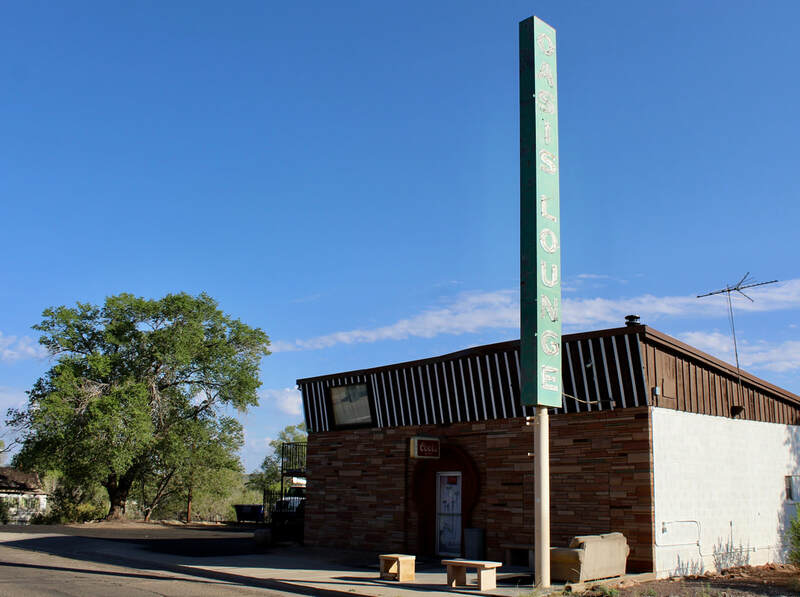 ​​The road, lined with quirky Burma Shave signs, ends in Seligman. Oasis Lounge & Cafe on Park Avenue has a towering neon sign. 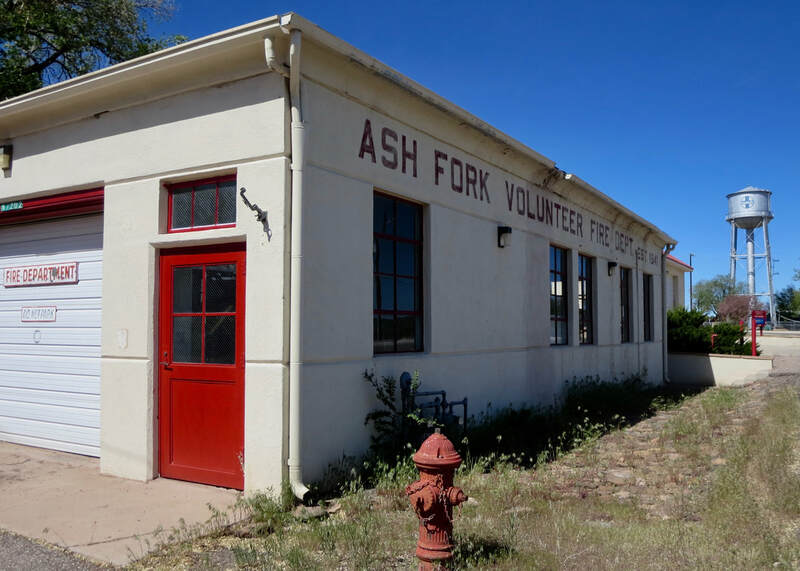 Ash Fork's fortunes were tied to the railroad and later Route 66 tourism. Both no longer support the town's struggling economy. Crookton Road, an old Route 66 alignment, links Ash Fork to Seligman. 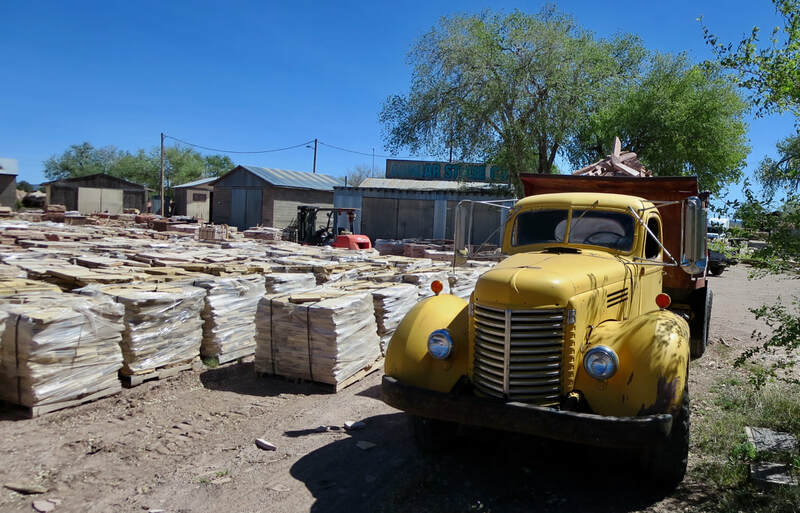 Ash Fork bills itself as the Flagstone Capital of the World. Volunteer firefighters protect the town, which suffered a ruinous 1987 fire. 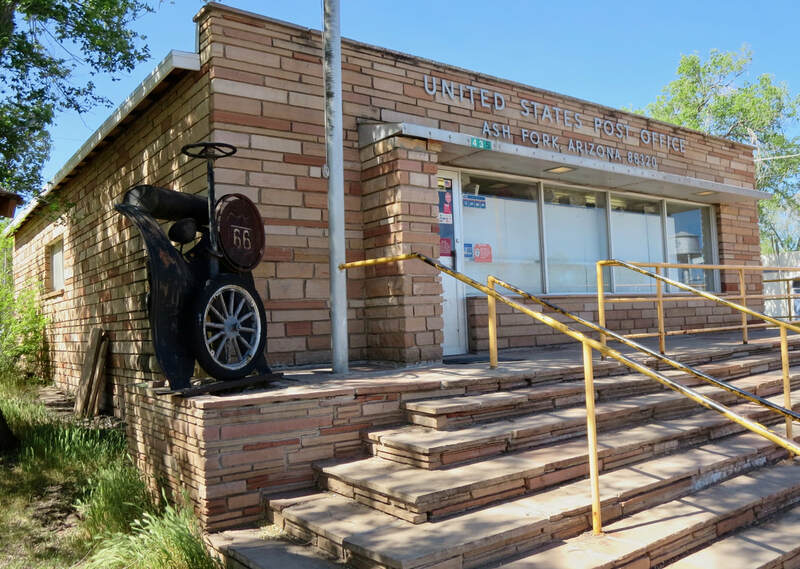 Ash Fork's post office is nicely finished with flagstone. Hi Line Motel is a classic highway motor court that needs a renovation. It's on westbound Route 66 or Lewis Avenue. 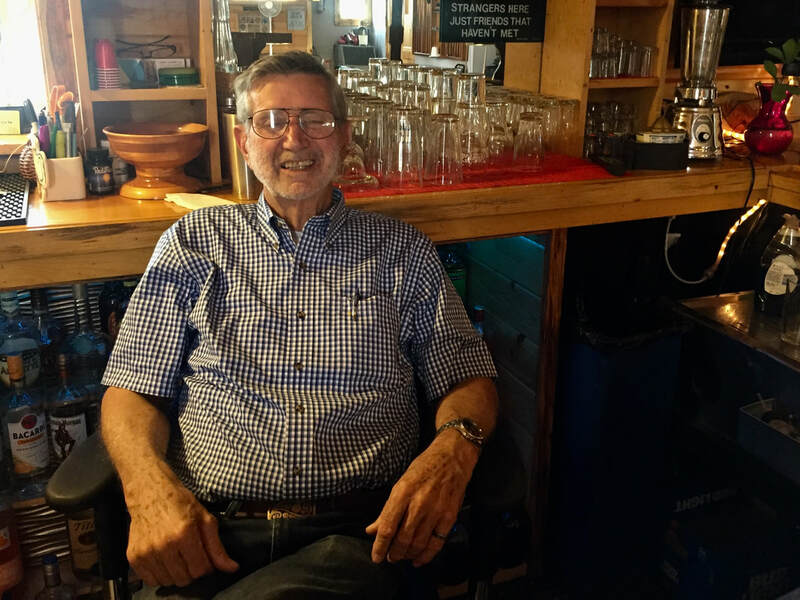 Longtime Oasis Lounge owner Al Reed, a former math teacher. 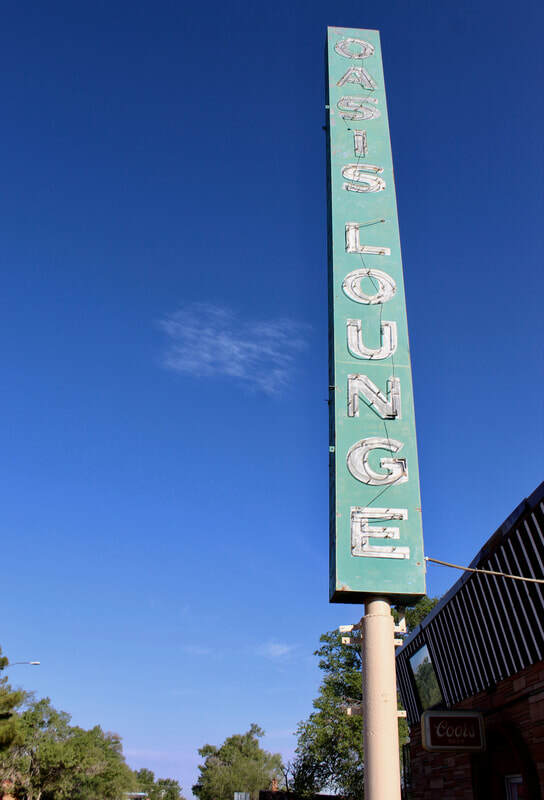 Oasis Lounge was a hub for railroad workers for decades. BNSF trains line up at the Crookton overpass on an old alignment of Route 66 west of Ash Fork.